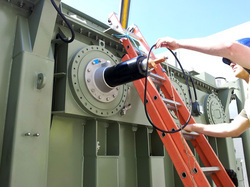 O’HARA ENGINEERING SERVICES as a group of companies have been involved in the installation, commissioning and maintenance of both Medium and High Voltage Sub-Stations for the past 20 years. O’HARA ENGINEERING Electrical Maintenance was established in 2004 to offer a more exclusive maintenance and technical service. Since its formation the company has built an excellent reputation in the Renewable energy, Pharmaceutical and Industrial sectors. Our clients include the Scottish & Southern Energy (formally Airtricity), Energia, Hibernian Wind Power, Gamesa, GSTEO, ABB, Schering Plough, Cognis Henkel along with some of the largest acute “On Call” Hospitals. These clients provide ample evidence of the company’s ability to deliver the highest quality service available in the utilities/energy maintenance sector. To offer the most complete technical expertise available the company is equipped with the largest amount of fully calibrated test equipment in the sector. This equipment extends from our own oil filtration plant to state of the art power quality analysis equipment. 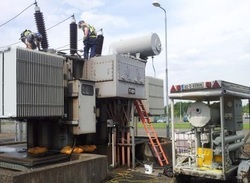 Our highly trained staff team also have the experience to help all our clients achieve and maintain a high level, properly serviced distribution/electrical system. This will help limit the number of faults and help prevent costly replacement and down time.